This year’s P-MEC exhibition takes place at Bombay Exhibition Centre Mumbai from 1-3 December 2015. Organized by UBM, the event focuses on the future of pharmaceutical equipment, highlighting the latest knowledge and trends in the market. With many major pharmaceutical companies visiting this important exhibition, Russell Finex will showcase their range of innovative solutions for pharmaceutical manufacture. This includes live machine demonstrations, complimented by trial videos of various pharmaceutical applications, giving visitors an insight into how Russell equipment can benefit their business. The Finex Ultima™: The latest development in separation technology, this pharmaceutical vibro separator is designed exclusively for the Indian market. It has many benefits, including an open frame design, unique rubber suspension, quieter operation, increased accuracy and higher screening capacity. The Russell Compact Sieve®: This vibratory screener is designed to ensure high capacity and safety screening of liquids and slurries. 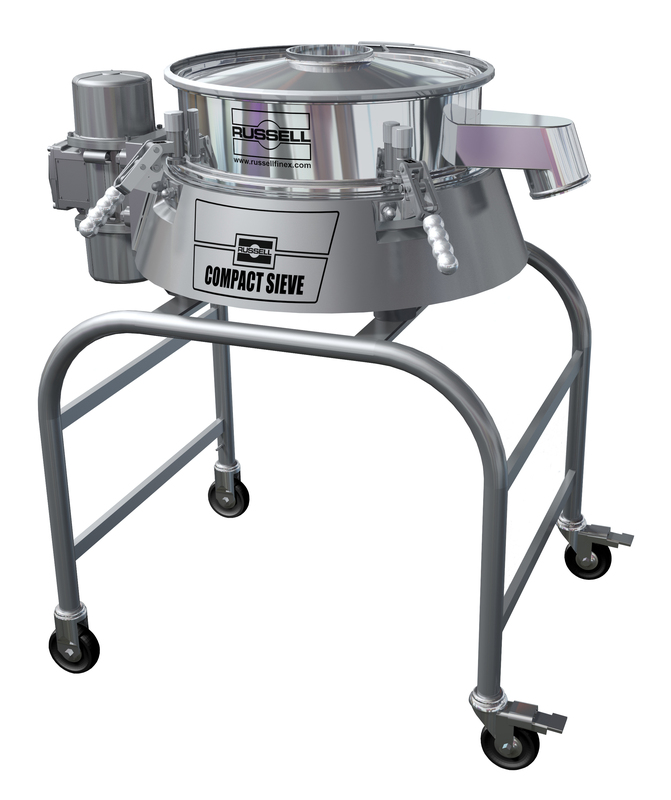 Available in different sizes, the enclosed sieve removes the contamination of your products, providing a hygienic processing environment as well as ensuring operator safety. Vibrasonic® Deblinding System: This ultrasonic system helps with screening powders on finer mesh down to 20 microns. The innovative system increases the value of your product, by allowing mesh to consistently sieve material, increasing throughput rates by preventing blocking and blinding of the mesh. The Self-Cleaning Russell Eco Filter®: This self-cleaning filter for liquids is an effective solution for both industrial and sanitary applications. The Self-Cleaning Russell Eco Filter® improves product quality by removing oversize down to 10 microns. A unique SpiroKlene™ wiper system continuously cleans the surface of the filter element, ensuring optimum filtration efficiency. Russell Finex invites you to visit Hall 7 Stand P-51 at this year’s P-MEC exhibition from 1-3 December 2015, at Bombay Exhibition Centre Mumbai, to explore the sieving and filtration solutions best suited to your application.